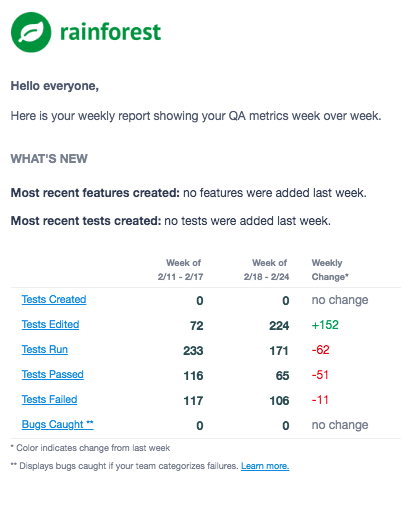 The Rainforest QA Visibility Report sheds light on how last week compared to the week previous by looking at a few high level numbers. 3. No bugs were marked ‘caught’ even though the team was discussing a P1 that Rainforest did catch. What are the columns referring to and what do the colors mean?